Birthstone Necklace Inscribed Always in My Heart. 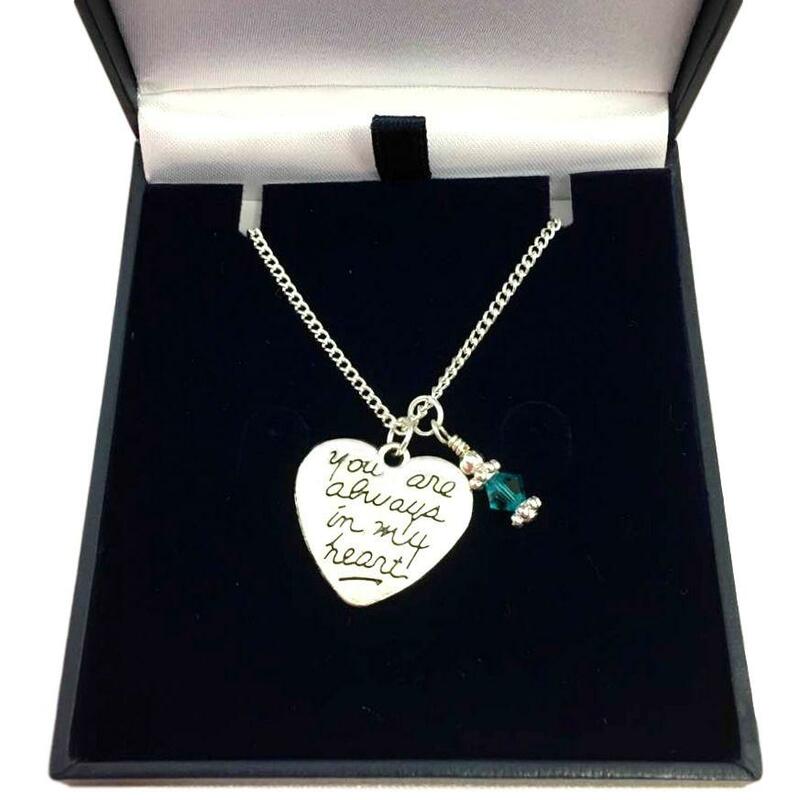 This lovely memorial necklace has been designed by us to bring comfort to someone who is grieving the loss of a loved one. The beautiful crystal charm is genuine Swarovski crystal from the prestigious 'Elements' range. 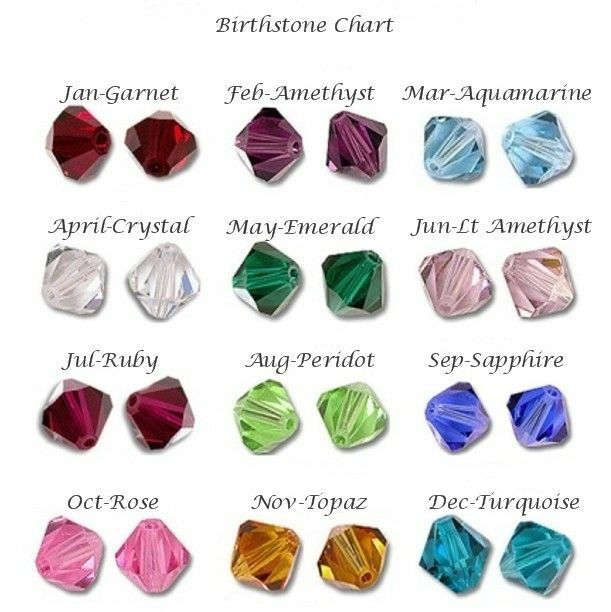 You can choose the birthstone of the person who will wear the necklace or of the person or pet they have lost. 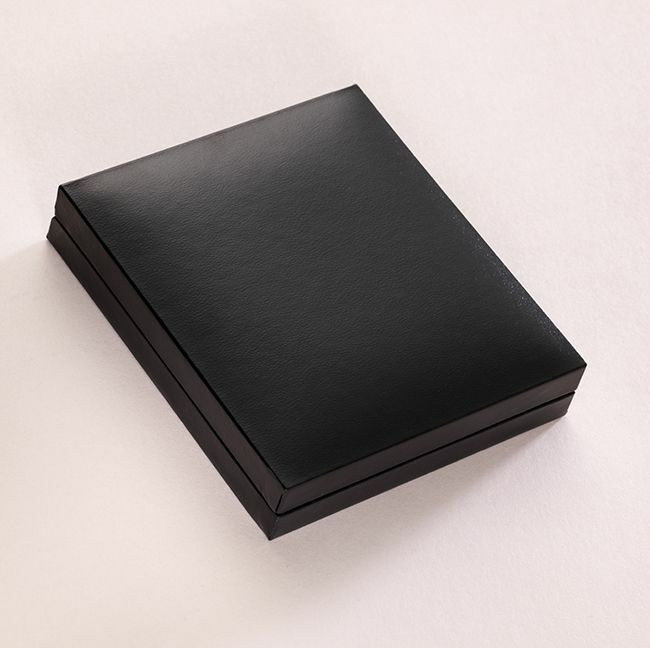 Either adds a lovely personal and thoughtful touch to this gift. 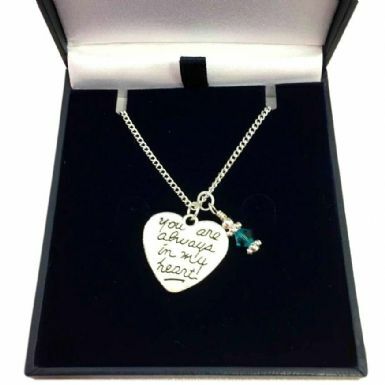 A memorial necklace is a lovely idea for a sympathy gift for someone who is grieving after the loss of a loved pet. See also our pet memorial gifts and baby memorial gifts for more ideas to find the perfect present. Metal parts: Tibetan silver heart pendant. High quality silver plated necklace chain. Chain Length: 14", 16" or 18". 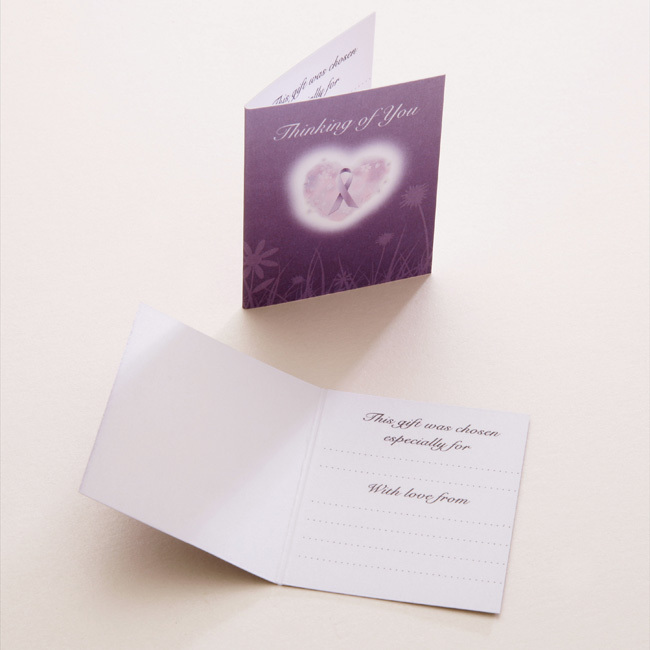 Delivery: All bereavement gifts are packed and dispatched within 3 days following receipt of cleared payment. For post and packing costs please see our shipping menu. Standard or Express Delivery is available.